The G-man was hunkered down on my bed the other day and I couldn’t resist snapping a pic of all those little toes! 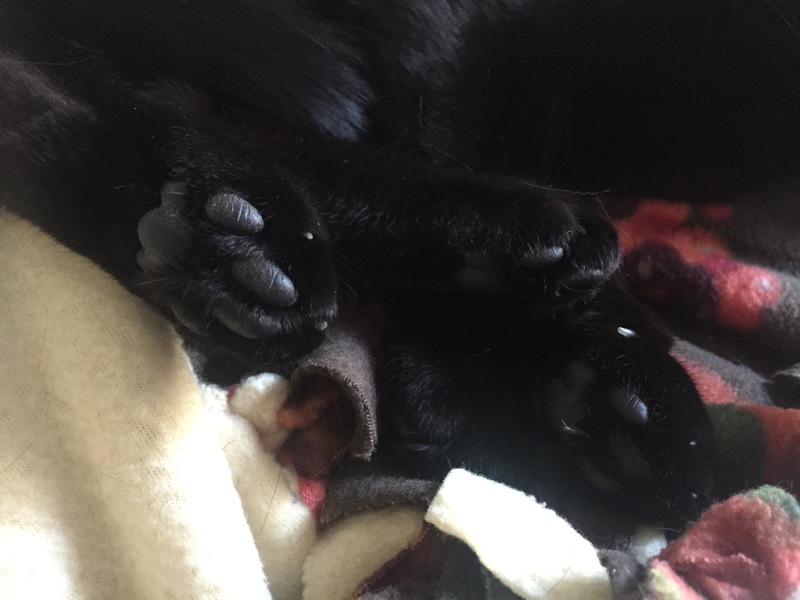 Every time I see those healthy toes I think of when I first adopted him. His pads were covered in a whitish-cast, they were cracked and didn’t look good. Of course, when the shelter got him, he was full of bugs and mites and had worms, so obviously his body was very malnourished. It makes my heart feel full to see his healthy toes today! 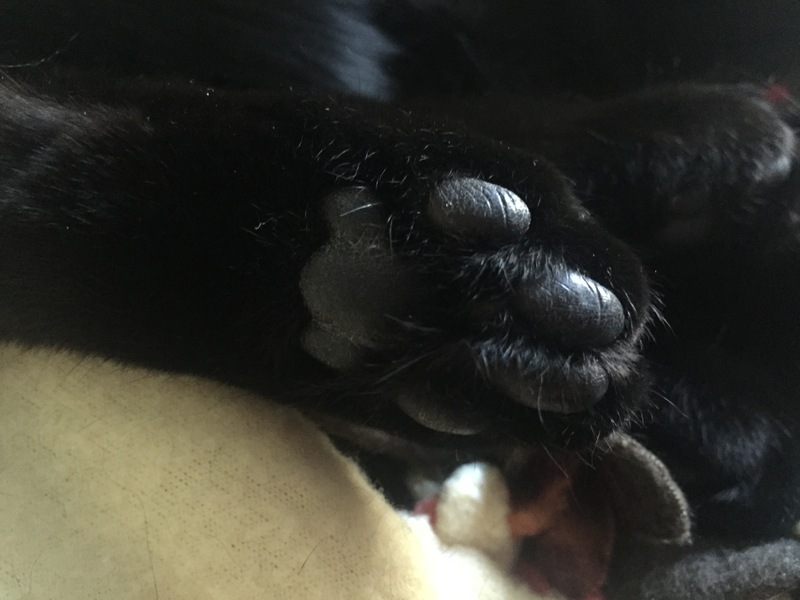 I just want to kiss and nibble those jelly bean toesies. Grizz is so healthy. Toes! I love kitty toes.